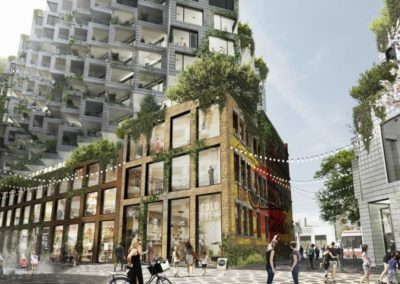 KING Toronto is set to rise 16-stories above King Street West with four peaks wrapping around the central courtyard of the property. 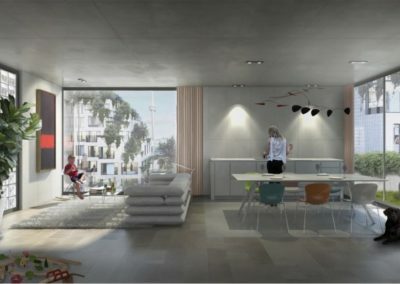 The gradual recession on each floor allows for a large percentage of the suites in the building to offer spacious terraces and multiple exposures. 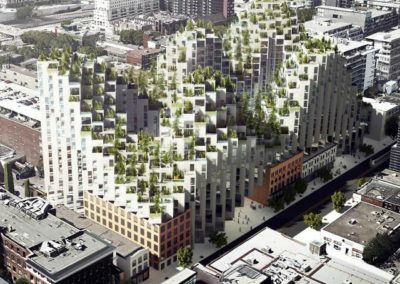 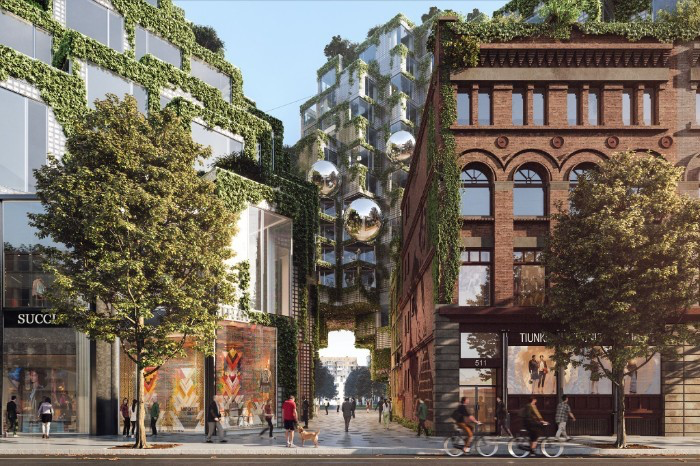 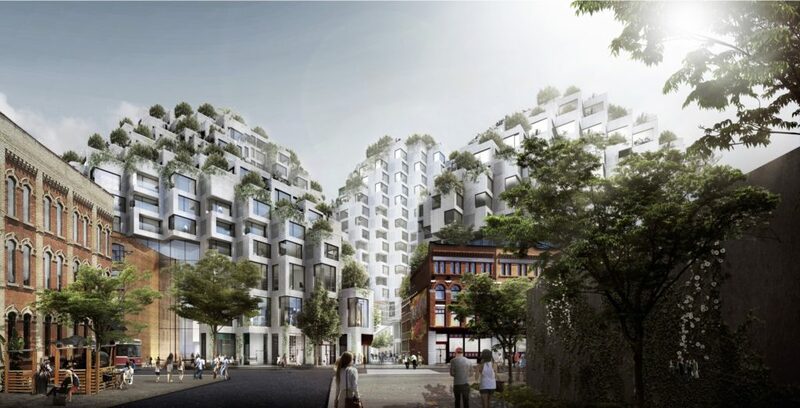 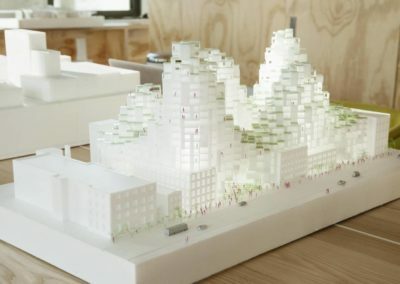 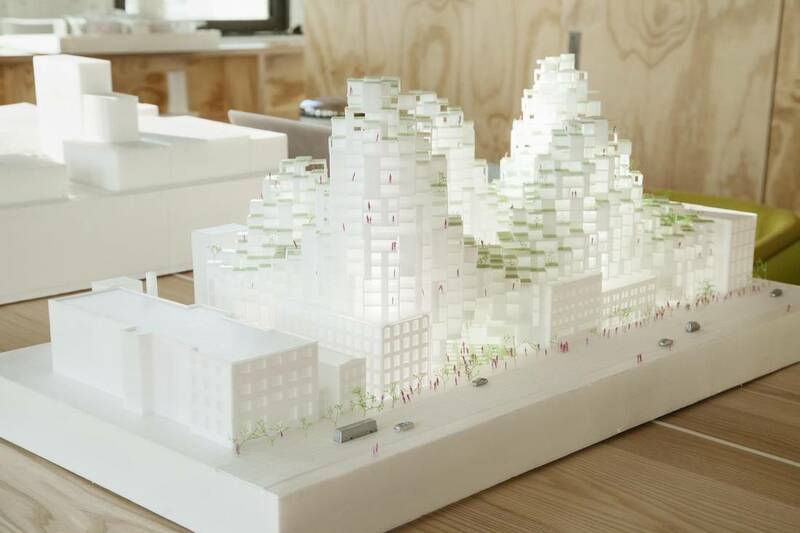 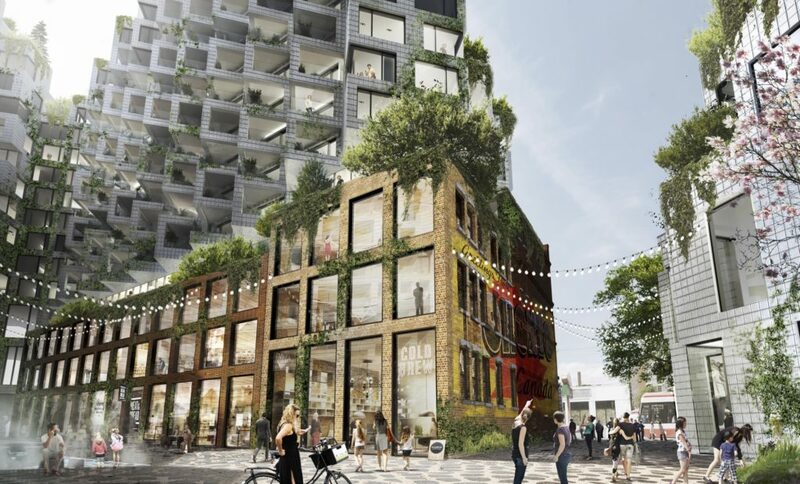 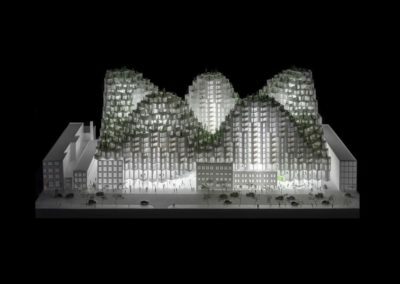 The design centers on adding to the sense of community along King West, putting a significant amount of focus on the interaction of public spaces, extensive art installations and retail spaces along the street level and through the courtyard. 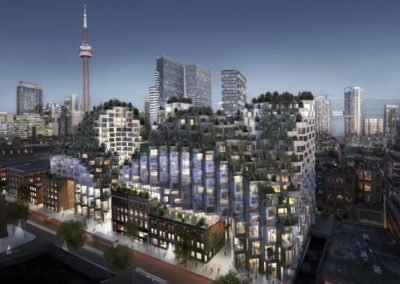 KING Toronto comes as the fourth Toronto project for Westbank. 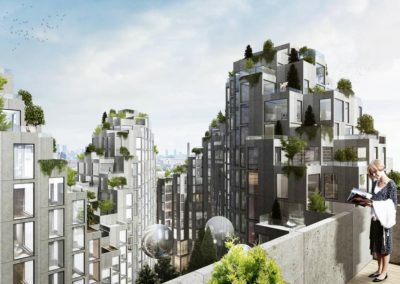 Their first project in Toronto was the successful Shangri-La Hotel & Residences Toronto. 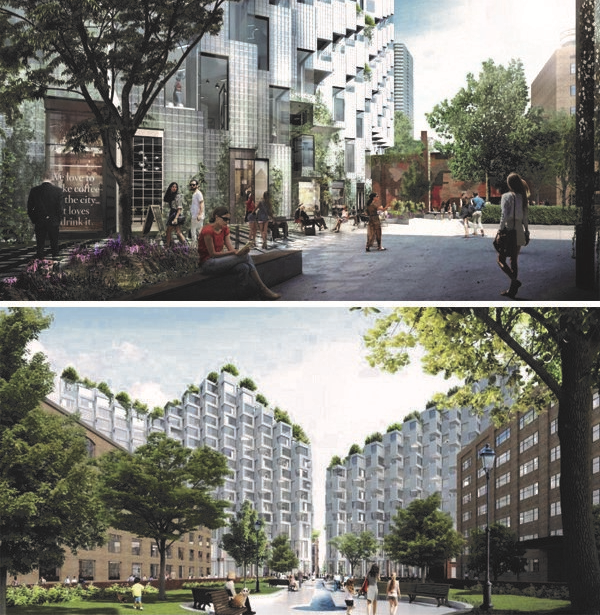 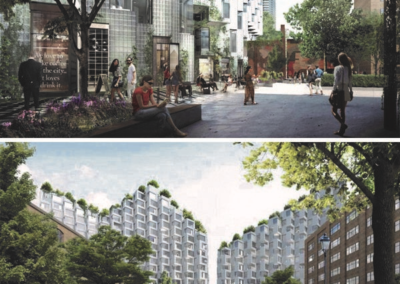 Their two projects currently under construction are at 19 Duncan Street and the highly-anticipated Mirvish Village redevelopment. 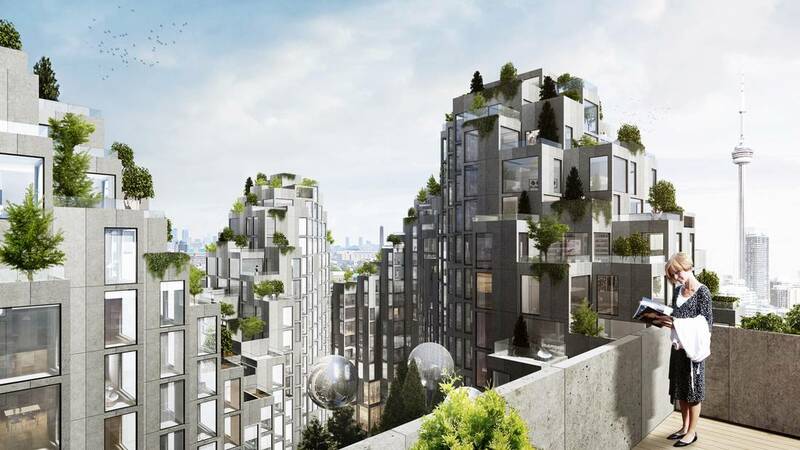 KING Toronto are separated into distinct sections and modules, home buyers and investors will have a very broad range of floor plans and directional exposures to choose from. 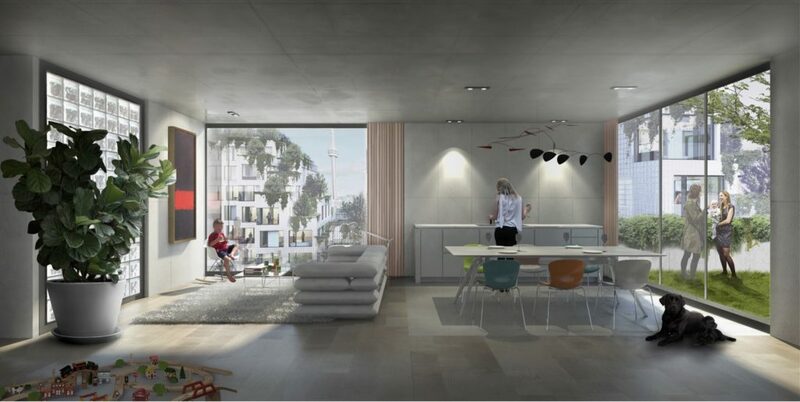 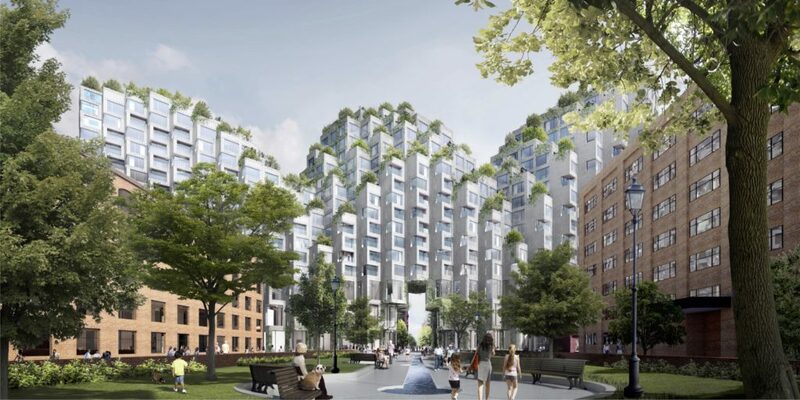 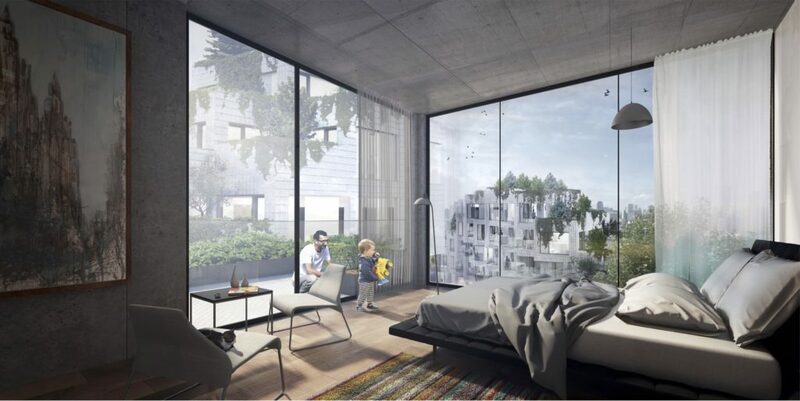 Each of the 400+ units has an attached green terrace space and surrounds the large interior courtyard. 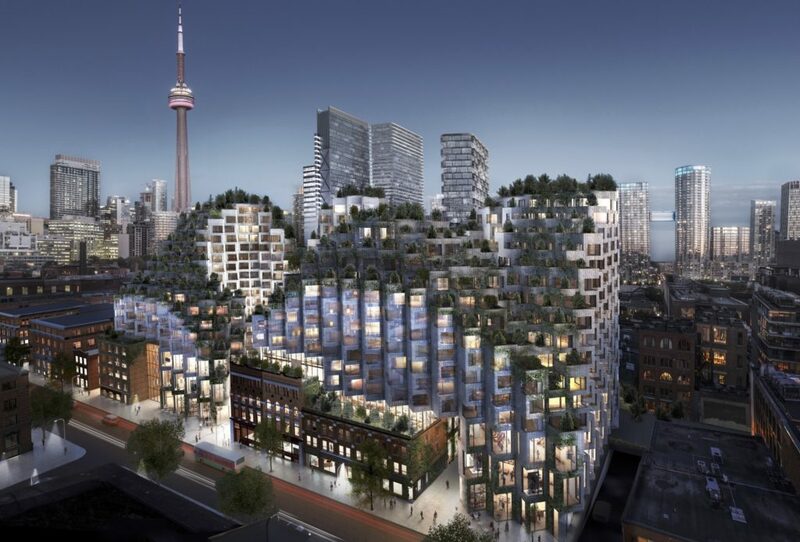 The architectural style for this development is a complex interplay of stacked rectilinear units that create quite an impact on the Toronto skyline. 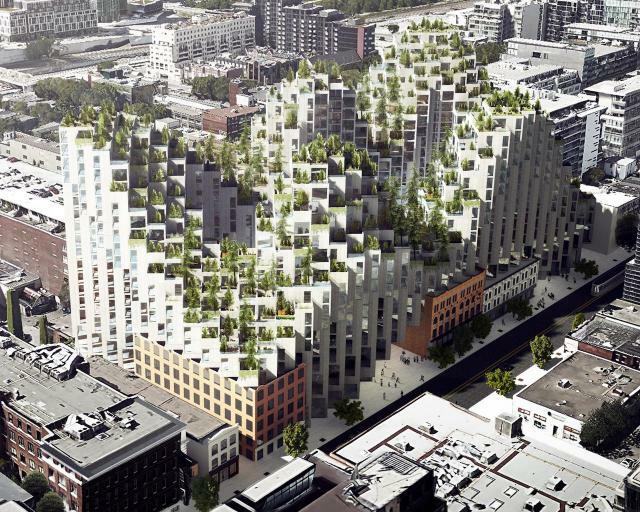 We have seen nothing like this in Toronto yet. 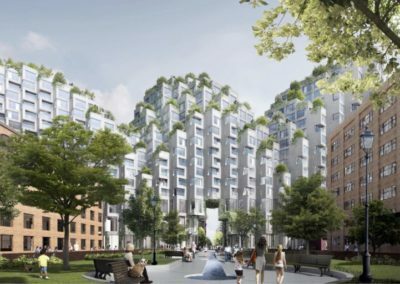 The plaza is defined by two distinct atmospheres: a lushly landscaped forest paired next to an urban, hardscaped court. 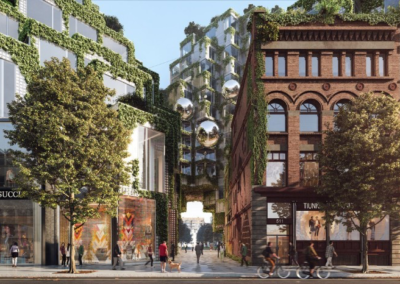 The balance of these perceived opposites is a reflection of Toronto’s current state of rapid redevelopment. 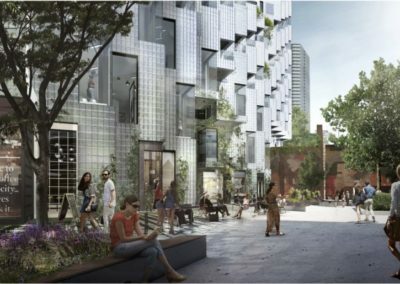 Surrounding the plaza, King Street West provides residences, retail, boutique office spaces and restored heritage buildings. 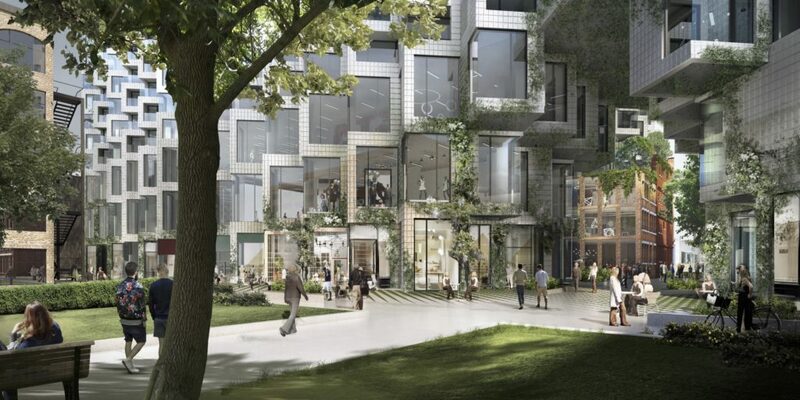 is the beautiful public courtyard. 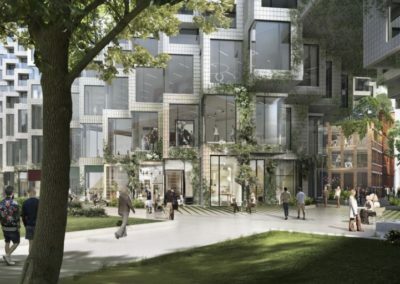 Sized at approximately 21,000 square feet (1,950 square metres), the courtyard will be divided into two separate zones. 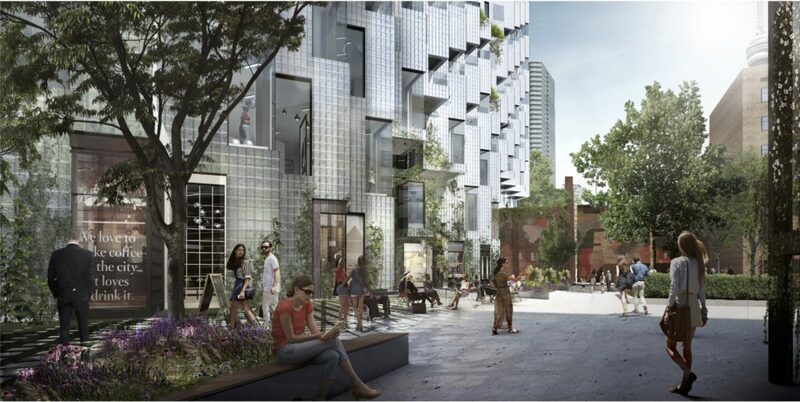 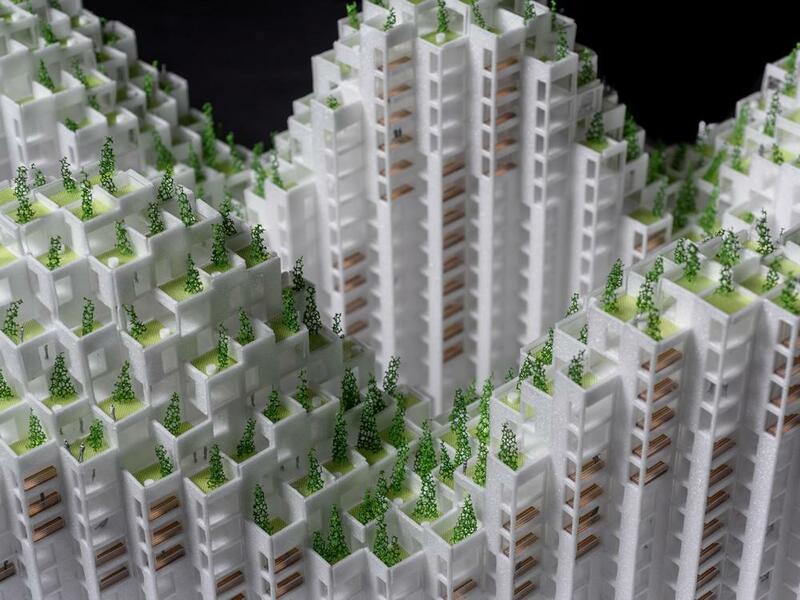 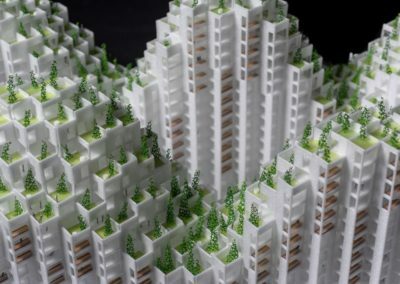 The first zone will consist of a professionally designed and landscaped mini-forest of evergreen trees, while the second zone will be an urban patio area with seating areas and direct access to the ground-level retail facilities. 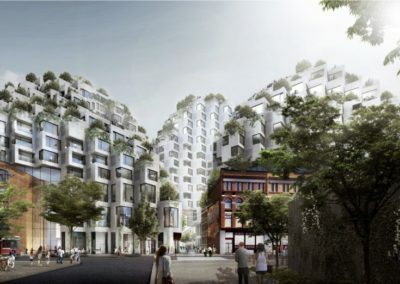 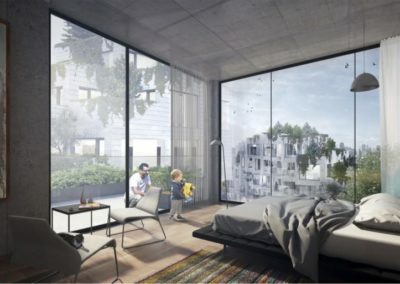 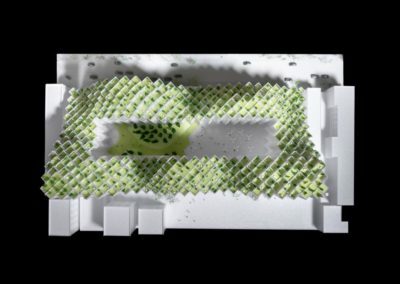 The designers have also included a “secret” feature, in the form of a concealed garden that will be placed at the rear of one of the heritage buildings.